There’s only one Hollywood actress that became a princess – the one and only Grace Kelly. Born in Philadelphia in 1929, Grace Kelly loved being an actress since she was a little girl and her dream came true during the golden Hollywood era. Even though her acting career didn’t last long, she did well enough to earn herself one of the biggest awards – the Oscar. After her marriage with the Prince Rainier of Monaco, she becomes officially the Princess of Monaco and dedicates her life on the title. She gives up acting and starts doing more royal activities, and soon she had her own children to take care for! This inspiring, kind and beautiful lady dies early in her life after a car accident in 1982. Even though Grace Kelly is no longer present, her acting, grace and beauty left a mark that will never be erased. Read below to find out more about the life of an actress turned into princess! Grace Kelly is the child of Jack and Margaret Kelly who both were great at sports. Jack Kelly had three Olympic gold medals in sculling and he is the only rower in the U.S. Olympic Hall of Fame. Her mother Margaret was a great swimmer and she was the first coach of the women’s athletic teams at the University of Pennsylvania. Her older brother John Brendan, Jr. followed their dad’s steps and also became a rowing champion by winning the bronze medal in the 1956 Olympic Games. However, Grace preferred to follow her uncles’ foot steps. Walter C. Kelly appeared in Broadway productions, while the other uncle George Kelly won a Pulitzer prize for his play Craig’s Wife. As teenager, Grace Kelly showed her interest towards acting – something that her parents liked when she was younger and thought that it was just a phase, but when she showed her serious inspirations of becoming an actress, they didn’t like it at all. Some reports say that her dad Jack Kelly in one occasion stated that “acting was a slim cut above streetwalker”. However, Grace was determined to be a Hollywood star no matter how much her parents disapprove her wish, so she enrolled at the American Academy of Dramatic Arts in New York. While she attended her classes at the New York’s American Academy of Dramatic Arts, Grace used to live in the Barbizon Hotel for women, where other stars such as Liza Minnelli and Ali MacGraw used to live as well. It was an exclusive residence with man not allowed above the ground flour, and Grace earned her money by modelling and appearing on the cover pages of magazines such as the Redbook and Cosmopolitan and she also appeared on shows, hoping that all of these could gain her publicity. Being the beauty and grace she truly is, it wasn’t long until Grace landed a serious acting career. 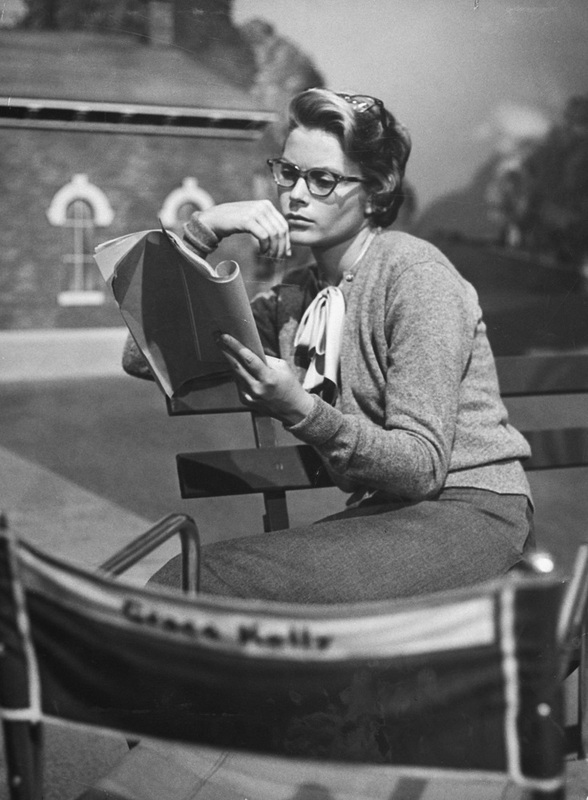 In 1949 Grace Kelly had her debut on Broadway with her role in The Father and after her graduation at the Academy, she moved to Hollywood where she had minor movie roles. Her first major movie role was in High Noon (1952) and her next major role was in the movie Mogambo – both movies were her breakthrough in the Hollywood industry. 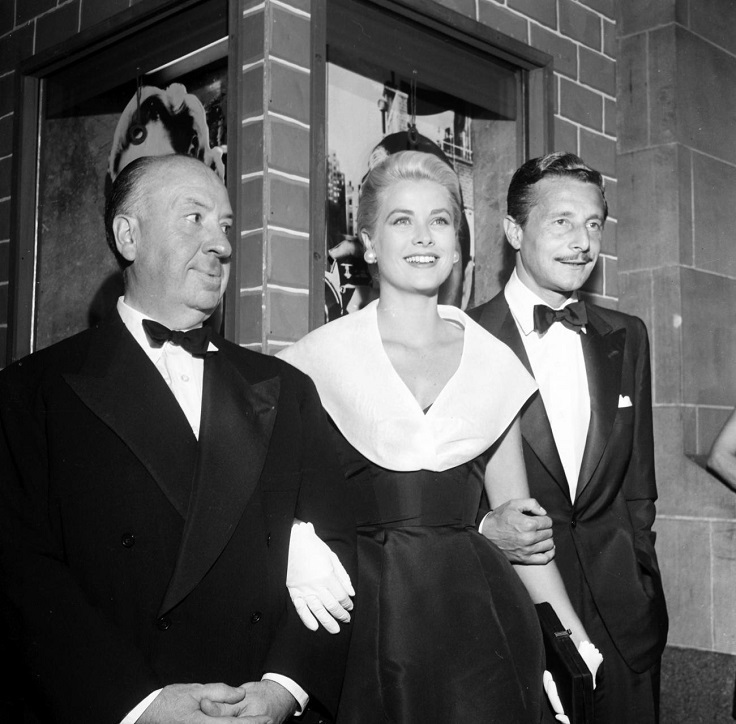 Soon, Grace Kelly became the muse of one of the greatest movie directors of all time, Alfred Hitchcock. He found her very elegant, beautiful and talented, so he gave her major roles in his movies Dial M for Murder (1954), Rear Window (1954), and To Catch a Thief (1955). It wasn’t long until this gorgeous lady got all the attention she deserved! 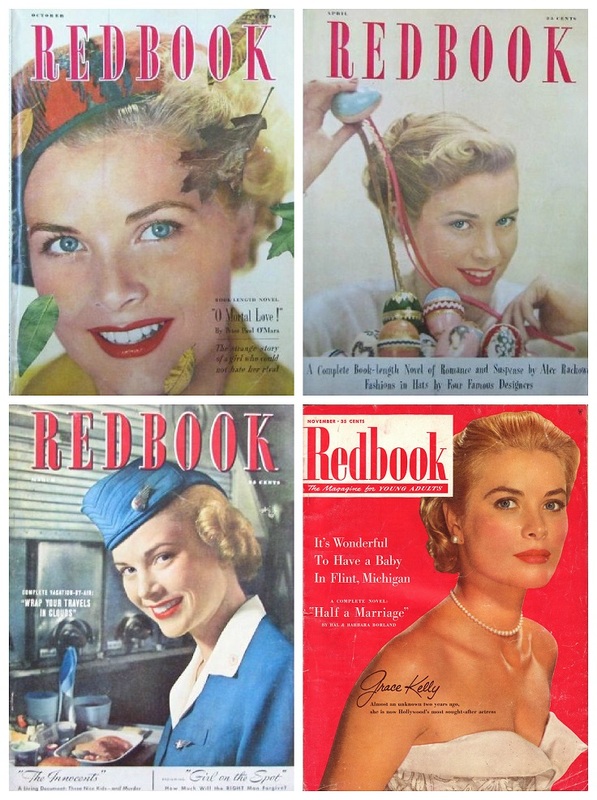 Following her successful breakthrough in the movie industry, Grace Kelly became very popular and was linked to other actors, actresses and designers. She had a busy life doing what she really loved and considering the fact that she was a talented actress having major roles in one of the best movies of the 1950’s, it wasn’t long enough until she also got all the recognition for her work as well. 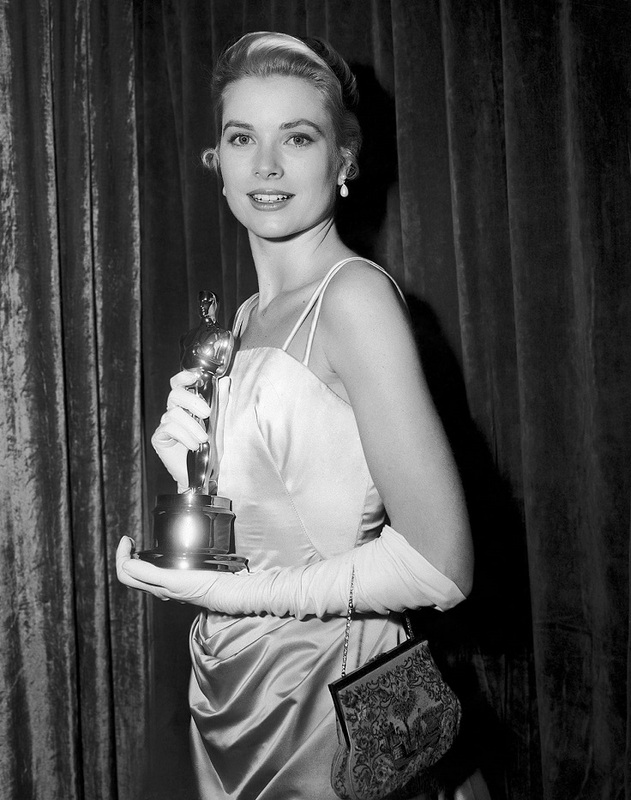 Grace Kelly won the Academy Award for Best Actress in Country Girl, and other awards for that movie and for Dial M for Murder and Rear Window in 1954. 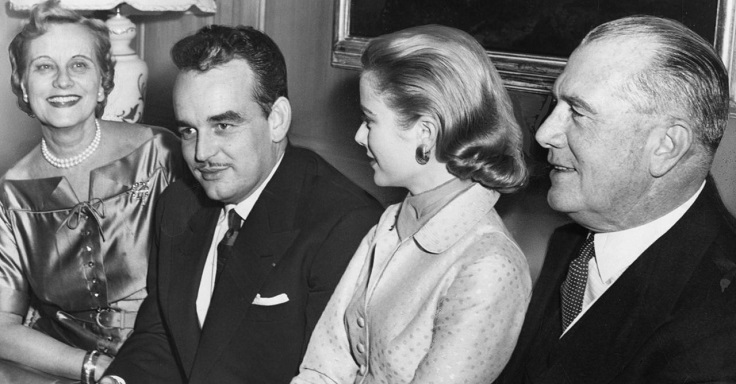 During the Cannes Film Festival in 1955, Grace Kelly was introduced to the man who later got to be her husband – the Prince of Monaco, Rainier Louis Henri Maxence Bertrand Grimaldi. During that year it was obvious that there’s something between them and soon the Prince of Monaco asked her to marry her, and she said “yes”. After completing her last movies in 1956, Grace Kelly with 50 of her family and friends left the USA and went to Monaco for her wedding. 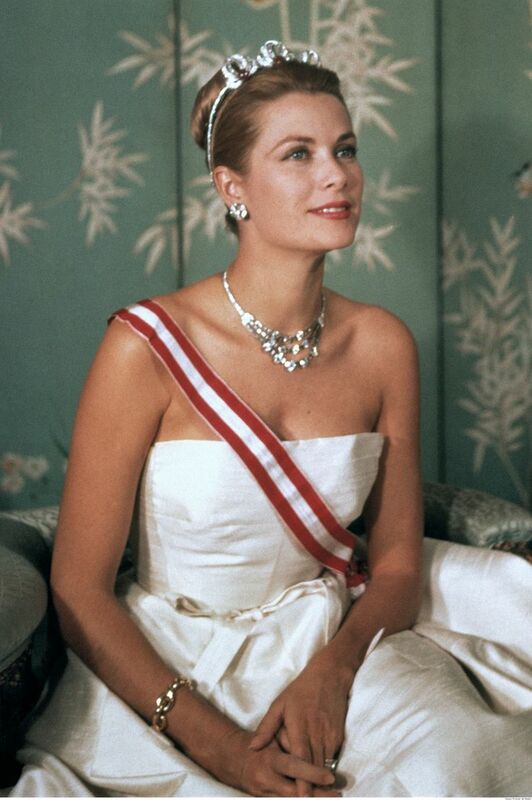 There were more than 20.000 people on the streets and after the official ceremonies, Grace Kelly was no longer just a popular Hollywood actress, she had a real royal title – the Princess of Monaco. It was an expensive marriage in fact, because the Kelly family had to pay a $2 million dowry to the prince. 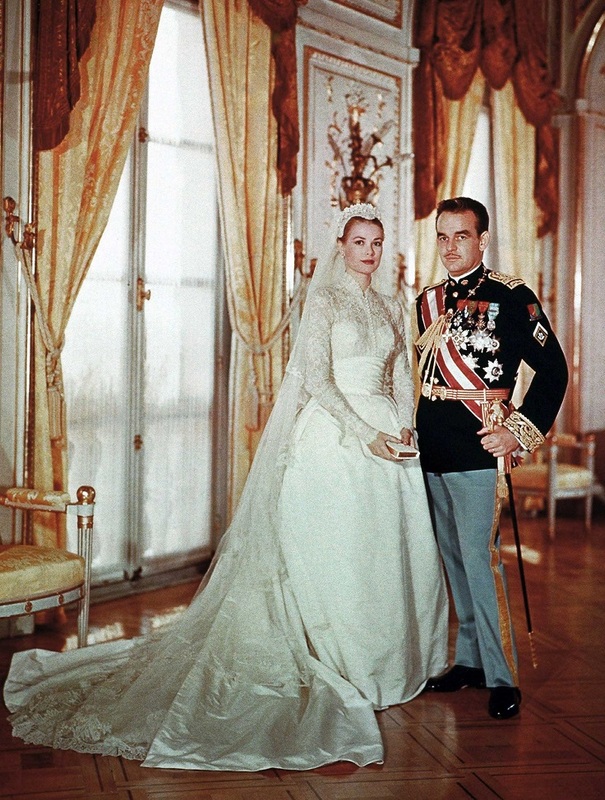 Grace Kelly had two wedding gowns, one she wore for the civil ceremony, while the other gown she wore at the Cathedral for the religious ceremony. The second one (the one on the picture) is considered to be one of the most beautiful wedding gowns ever and still serves as inspiration to many women (It is said that the wedding gown of Kate, the Dutchess of Campbridge is inspired by Grace’s). It was designed by Hellen Rose, a costumer designer at the MGM studios, that gave the wedding gown to Kelly as their gift. The wedding gown included 25 yards of silk taffeta, 100 yards of silk net, peau de soie, tulle and 125-year-old Brussels rose point lace. She wore a Juliet cap with seed pearls and orange blossoms. Her wedding ring was 10 – karat diamond and her gift from the royal family was a Rolls Royce, a diamond necklace and earrings. Her life seemed like a fairy tale – she was beautiful, rich, popular and married a real prince – something that many women dream of! However, behind all the glamour and happy faces, not everything was that shiny. Grace Kelly didn’t know French, the official language in Monaco, so she really had hard times being understood. She had to give up doing what she really loved – acting. Her husband believed that it wasn’t the best for a princess to act and when Hitchcock offered Grace a major role in his next movie, the people of Monaco loudly showed their disapproval, so she wasn’t able to return to Hollywood. The marriage wasn’t ideal either – even though both Grace and Rainier respected each other, their marriage had more political advantages over personal. In order to honor Grace Kelly, in 1993 the United States and Monaco decided to issue a stamp in both American version, where she is presented just as Grace Kelly, and a Monegasque version as Princesse Grace. Czeslaw Slania, a stamp engraver from Sweden, engraved the design of the stamp by using a photo from the Country Girl. 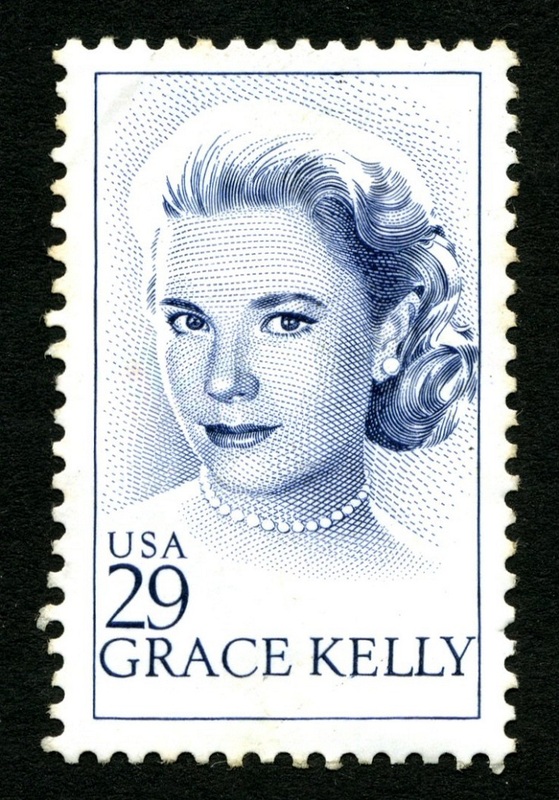 Having a stamp with her photo on it meant that Grace Kelly was the first actress in the United States to have a stamp. When Kelly broke her arm, she used an Hermes scarf as a sling. She also used a Hermes bag to cover her baby bump from the paparazzi. The public started to call it the “Kelly bag” and soon even the company agreed to the name. Not every celebrity has her a Hermes bag called with her name! Grace Kelly was a true fashion icon, and the Hermes bag is just one small proof. If you google images of her, you will see that grace followed her with each of her step. No matter where she was and who she was with, Grace Kelly looked amazing and we will always remember her for that.